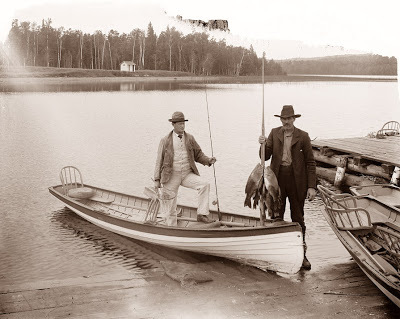 In the late 1800’s recreational boating on the local rivers was primarily a past-time for high society and more an excuse for partying than an interest in canoeing or sailing. With the demise of the short-lived Pittsburgh Canoe Club around 1883, interest in the rivers faded as organized recreation. In 1897 a new boating club was organized under the leadership of Silas Hughes, a successful oilman and the first commodore of the Duquesne Club. More cosmopolitan than its predecessor, the 12 members of this new club ranged from factory owners, merchants, diplomats, a local florist, a bank manager, and a few clerks. A newspaper article of the day credited this new club with the rebirth of recreational boating on the Allegheny River. By 1901 membership had grown to 18 members and a move from the temporary headquarters near Brilliant pumping station was approved. A riverside lot 50’ by 200’ was purchased in Sylvan Station for $450. Following the granting of a charter by the State of Pennsylvania in November, 1901, it became necessary to reorganize the club. Leadership was placed in three officers and two trustees. The first commodore under the new charter was H. W. Breitenstein, a local florist. Vice-commodore was William Wecherle, a clerk employed by the Pennsylvania Company. Secretary-Treasurer was Frank Demmler, a clerk employed by Demmler Brothers Home Furnishing Co. The two trustees were Harry McLain, president of McLain Fire Brick Co. and Jacob Wein, vice-counsel of the Austria-Hungarian Empire. This same charter is still in effect today. The first order of business for the new officers was to make plans for a large permanent headquarters on the recently purchased lot. In January, 1902 a building was approved for construction to serve as the home for the newly chartered and titled Duquesne Canoe Club. It would be built in the classical Greek Revival style and was to contain “all the comforts in the way of appointments and furnishings” and provide storage for 30 canoes including a 20 foot family cruiser. It was hoped to have constriction completed in time to host the three day regatta of the American Canoe Association in July 1902. Rowing teams from all over the East coast and Canada would be contending for cups and trophies. The goal was reached and the Pittsburgh Bulletin in its July 5th edition described the event as the “greatest canoe event that Pittsburgh ever witnessed”. Soon after construction the building became a favorite for photographers as a postcard subject. Its popularity in this respect continues as evidenced by the inclusion of the building in the recent book Days of Sweet Remembrance, published by the Pittsburgh Post-Gazette . It is composed of sites in Western Pennsylvania deemed to be among the most beautiful. Fortunately for the present membership many of the early club officers saw the value in taking the advantage of opportunities to expand. In 1904 an adjoining lot was purchased allowing for expansion of the original building. In 1907 three additional adjoining lots were purchased for $600. This provided an area for picnicking and recreation as it continues to be used today. In 1917 five additional lots across from the club were purchased for the purpose of constructing tennis courts. This area in now used primarily for boat storage. In 1923 the final purchase of a lot containing a house was made and today this area provides a caretakers apartment and a dining and meeting area. During World War II with the resulting loss of membership the Wilmerding Sailing Club was invited to share the club headquarters and was eventually integrated into Duquesne Canoe Club. Sailing and rowing events are rare at the club now days. Power boating in now the major interest of the membership. Duquesne Club continues to thrive into its 3rd century and membership is at the maximum permitted under the original charter.